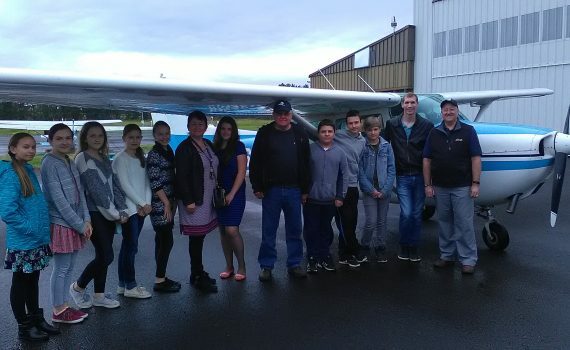 Servant Wings recently received a visit by a group from Slavic Christian Academy of Gresham at Pearson airport. Greg Hawes, Rick Yeates and Dan Wanvig did the Mission Aviation presentation. Dan and Rick took eight kids and the school principal up. Dan did two flights in the 172 and Rick did one in the 206. While they were flying, Vadim Sokolov showed the rest of the visitors inside of our 152. There was a lot of excitement from the students and few showed interest in additional information about Mission Aviation.